Donald Trump’s first campaign manager, Corey Lewandowski, visited the University of Chicago at the invite of Robert Costa, one of the fellows at the Institute of Politics. 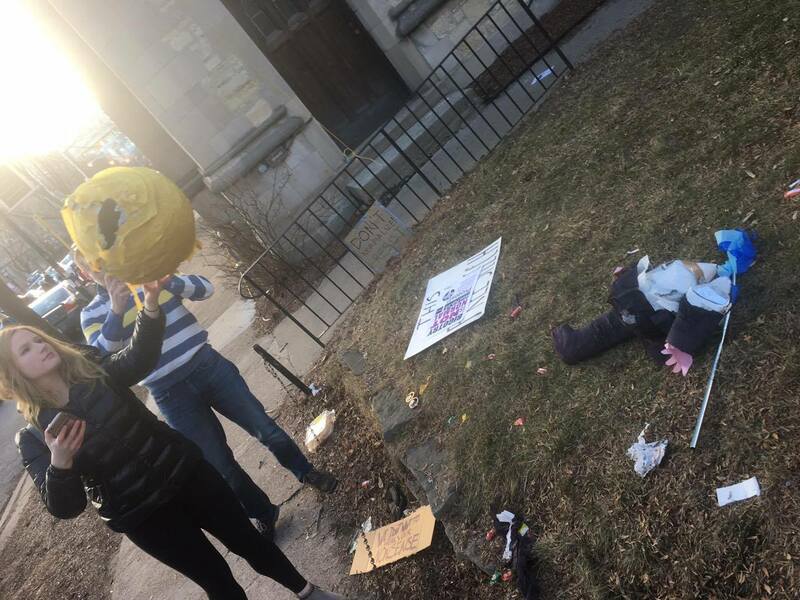 Lewandowski was met with a scattering of protesters who were equipped with all sorts of signs and a Trump piñata they took forever to smash. The protest was so quiet that the DJ who was playing music outside had to be silenced in order for the protesters to be heard, even though they had been using a megaphone the entire time. At one point, a few students who received tickets for the event had stood up, chanted for 30 seconds, and urged students at the event itself to walk out with them to resist. They were joined by precisely zero students. 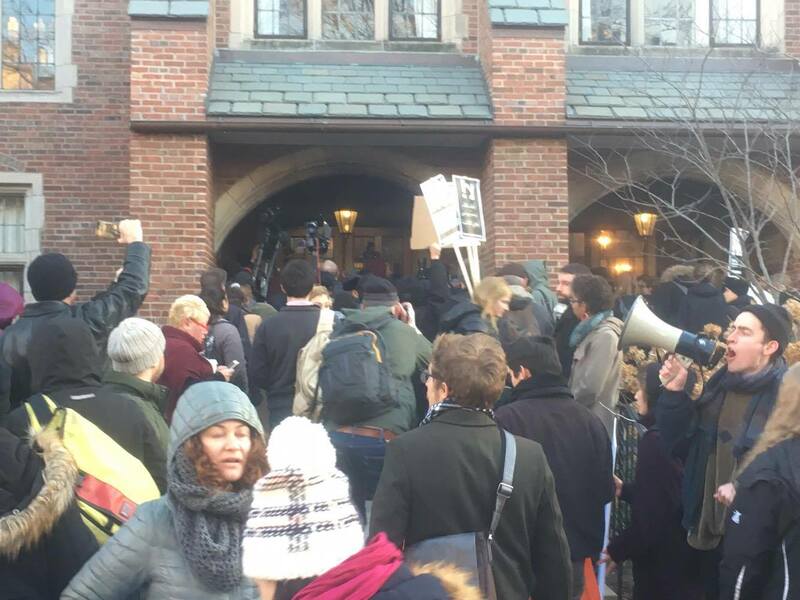 One of the more amusing scenes of the protest was when protesters crossed the street to the Quadrangle Club to attempt to storm into the building. They reached the doors of the building, and for whatever reason gave up. Maybe they were blocked by the police who were present, but after failing to open the doors they simply remained there and chanted for a while longer while their crowd slowly dissipated. Protesters attempting to break in, but failing to do so. In the end, the Lewandowski event occurred entirely as planned.